With over 1.000 bird species found in Uganda, bird watching has brought in growing numbers of hobby ornithologists from around the world but even within has ‘birding’ found new friends. Nature Uganda and Birdlife International have mapped out 34 sites across Uganda as important bird watching areas, some inside but many outside the country’s protected areas which makes access possible without any park fees, though such payments, of course, go to the good use of maintaining park infrastructure. 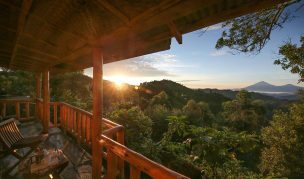 For instance Bwindi Forest, which the Africa Bird Club declared the Number One birding site in Africa or in Queen Elizabeth National Park, home to over 600 bird species alone. Endangered Rhinos of Ziwa Rhino Sanctuary, the Africa “Big 5” of Murchison Falls route and more bird Watching. Birding the royal mile through fort portal to the playful chimpanzee and birds of Kibale Forest. The savannah plains of Queen Elizabeth National Park. 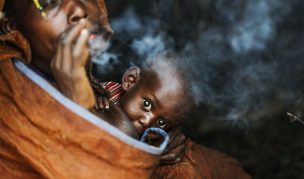 The stunning misty Bwindi Impenetrable forest birds and gorillas. After an early breakfast, we will head out to the Mabamba Wetlands on the shores of Lake Victoria. This is one of the few remaining swamps in the country protected by the local communities. It is an extensive papyrus swamp, with a labyrinth of channels and lagoons, and is home to several pairs of Shoebills, Uganda’s most famous avian resident. This charismatic monotypic species is certainly among the most sought-after birds in Africa, and we’ll make special efforts today to find it by paddling through the channels by boat. There will of course be a good selection of classic East African water birds to observe along the way like Pink-backed Pelican, Long-tailed Cormorant, Squacco Heron, Yellow-billed Duck, Malachite Kingfisher, Long-toed Plover, Blue-headed Coucal, Blue-breasted Bee-eater etc. Bird your way back to Entebbe looking out for birds like African open billed Stork, Grey Kestrel, African Green Pigeon, Great Blue Turaco, Ross’s Turaco, Red-headed Lovebird, Swifts, Sunbirds, Weavers, Finches among other birds. After breakfast, start birding your way to Ziwa Rhino Ranch birding en-route and after checking in and having lunch, head for the rest of the afternoon looking for birds like Western Banded Snake-Eagle, Lizard Buzzard, Long-crested Eagle, Crested Francolin, White-crested Turaco, Blue-naped Mousebird, Grey-headed Kingfisher, Woodland Kingfisher, White-headed Barbet, Double-toothed Barbet, Nubian Woodpecker, Cardinal Woodpecker, Grey Woodpecker, Brown-throated Wattle-eye, Tropical Boubou, Black-headed Gonolek, Sulphur-breasted Bush-shrike, Hartlaub’s Marsh Widowbird among other birds. After breakfast, start birding Ziwa Rhino Ranch looking for birds like Western Banded Snake-Eagle, Lizard Buzzard, Bateleur, Long-crested Eagle, Crested Francolin, Bruce’s Green-Pigeon, White-crested Turaco, Thick-billed Cuckoo, Red-chested Cuckoo, Black Cuckoo, African Scops-Owl, Pearl-spotted Owlet, Square-tailed Nightjar, Slender-tailed Nightjar, Swamp Nightjar, Black-shouldered Nightjar, Blue-naped Mousebird, Grey-headed Kingfisher, Woodland Kingfisher, Green Wood-hoopoe, African Hoopoe, White-headed Barbet, Double-toothed Barbet, Nubian Woodpecker among other birds. Depart Zziwa bird as you head to Murchison Falls National Park via the top of the falls. Have a short walk around the top of the falls from where you can walk down to the river’s edge and see the waters narrow as they are forced through a rocky cleft and plunge down 35 meters in a majestic cascade. Look out for birds like Raptors, Rock Pratincole, Crested Francolin, White crested Turaco, White-headed Barbet, Narina Trogon, Red-throated Bee-eater, Silverbird, Red-cheeked Cordon blue, Waxbills, Finches, Sunbirds, Canaries among other birds. After an early breakfast, proceed for a game/bird drive getting back in time for lunch. After lunch, transfer to Paraa northern bank for the boat trip up to the bottom of the fall, and it is possible to view hundreds of hippos, crocodiles, and a variety of bird life. Look out for birds like Abyssinian Ground Hornbill, Black-headed Plover, Rock Pratincole, Swallow-tailed Bee-Eater, Red-throated Bee-eater, Black-billed Barbet, Spotted Morning Thrush, Speckle fronted Weaver, White-browed Sparrow Weaver among other birds. 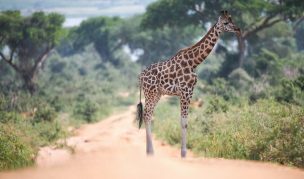 Look out for mammals like the graceful Roth child Giraffe, Jackson’s Hartebeest, Uganda Kob, Defassa Waterbuck, Buffaloes, Elephants, Warthog, Hippos, Oribi and when lucky a leopard and Lion among others. After breakfast with your packed lunch, bird your way back to Masindi driving through the rift valley escarpment where you will have good views of Lake Albert. Bird the escarpment before proceeding to Busingiro Forest Centre time permitting. Bird around the vicinity and the road, look out for birds like Striped Kingfisher, Swallow-tailed Bee-eater, Cliff Chat, Spotted Morning Thrush, Northern Crombec, Red-faced Crombec, Rattling Cisticola, Red-winged Grey Warbler, Black-headed Batis, Red-winged Ptyalin, Chestnut-crowned Sparrow-Weaver, Black-faced Waxbill among other birds. After an early breakfast with your packed lunch, proceed to bird the Royal mile. Look out for birds like the African Crowned Eagle, Heuglin’s Francolin, Blue-breasted Kingfisher, Chocolate-backed Kingfisher, Dwarf Kingfisher, White-thighed Hornbill, a Selection of Tinkerbirds and Barbets, Yellow-crested Woodpecker, Brown-eared Woodpecker, Greenbuls, Fire-crested Alethe, Red-tailed Ant-thrush, Lemon-bellied Crombec, Rufus-crowned Eremomela, Whistling Cisticola, Black-throated Apalis, Black-capped Apalis, Grey-throated Flycatcher, Forest Flycatcher, Ituri Batis, Red-bellied Paradise Flycatcher, Chestnut-capped Flycatcher, Western Black-headed Oriole, Purple headed Starling, Brown Twinspot among other birds. Primates like Blue Monkey, Red-tailed Monkey, and Black and white Colobus Monkey among others. Continue via Kinyera to Hoima to the proceed to Kibale National Park. After breakfast, proceed to bird the vicinity of Kanyanchu look out for the Green-breasted Pitta and other birds like Yellow-billed Barbet, African Emerald Cuckoo, Black-billed Turaco, Narina Trogon, Blue-shouldered Robin-chat, Sabine’s Spinetail, Chestnut Wattle eye, Narrow-tailed Staring among other birds. 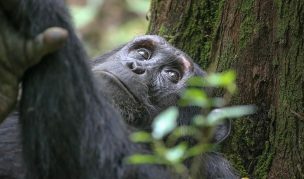 Primates like Red Colobus, Black and white Colobus, Grey-cheeked Mangabey, Olive Baboon, Red-tailed Monkey, L’Hoest’s Monkey among others. proceed to bird the Bigodi swamp to return to your accommodation. Repeat Nature walk/birding activity within the Semliki National Park in the morning. Where shoebill stork was not successfully seen in Mabamba Swamp, it would be possible to again look for this species in the Semliki -Toro Game Reserve at Ntoroko. DAY 11: QUEEN ELIZABETH NATIONAL PARK. Depart Semiliki Reserve to Queen Elizabeth National Park. 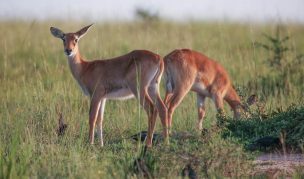 Queen Elizabeth National Park is largest national park in Uganda, and ranks highest with respect to overall diversity, with a bird species list exceeding 600. The park has a mosaic of habitats from moist forest at maramagambo to wild savannah excellent for Lions, Leopards, Elephants, Hyenas, Ugandan Kobs, Baboons, Giant Hogs, Warthog among others. Look out for birds like White spotted Flufftail, Yellow-billed Barbet, African Emerald Cuckoo, Black-billed Turaco, Kingfishers, Lesser Striped Swallow, Cisiticolas, Shrikes, Starlings, Widowbirds among other birds. After a cup of tea/coffee in the lobby, we will set off for a game drive/birding coming back in time for lunch and in the afternoon go for the boat trip on the Kazinga Channel, to see a variety of wildlife, hundreds of hippos, crocodile and bird life from a boat for two hours. Look out for birds like Pelicans, Green-backed Heron, Storks, African Spoonbill, Kittlitz’s Plover, Senegal Plover, Wattled Plover, Larks, Yellow-throated Longclaw, Babblers, Sunbirds, Weavers, Widowbirds among others. 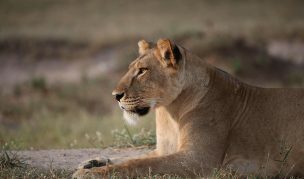 Look out for mammals like Uganda Kob, Bushbuck, Defassa Water buck, Buffaloes, Elephants, Warthog, when lucky a leopard, spotted Hyena and Lion among others. After an early at 6:15 am in the lounge with your packed breakfast, set off to bird maramagambo area around Lake Nyamusingiri looking for birds like Black Bee Eater, Shining Blue Kingfisher, Blue-breasted Kingfisher, Hairy-breasted Barbet, Yellow-spotted Barbet, Yellow-rumped Tinkerbird, Speckled Tinkerbird, Brown-eared Woodpecker, Snowy-capped Robin-Chat, Buff-throated Apalis, Honeyguide Greenbul, Red-colored Widowbird among other birds. Proceed to overnight in the Ishasha sector. 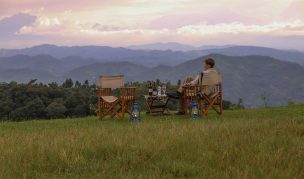 After breakfast with your packed lunch, bird your way to Bwindi Impenetrable National Park.This vast reserve offers arguably the most productive montane forest birding in Africa and supports 23 of Uganda’s 24 Albertine Rift endemic bird species. 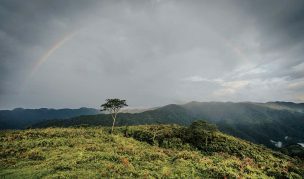 Once part of a much larger forest that included the Virunga Volcanoes in neighbouring Rwanda, Bwindi Impenetrable National Park is now an ecological island within a sea of human cultivation and is of immense conservation importance. Look out for species like Raptors, Bee Eaters, Kingfishers, Barbets, Tinkerbirds, Woodpeckers, Apalises, Honeyguide Greenbul, Swallows, Larks, Cisiticolas, Pipits, Chats, Shrikes, Starlings, Widowbirds among other birds. 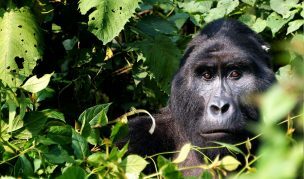 In the company of your Nkuringo walking Safari guide, commence a traverse of the Bwindi Impenetrable Forest National Park on 14km walk to Nkuringo following the Kashasha river trail and Buhoma trails. This walk is for the birding enthusiast a must do activity. Birds to be seen are Black bee-eater, Western green tinker bird, Bar-tailed trogon among others. Note your safari vehicle will proceed around the forest to meet with you in Nkuringo. This is 170km – 6 hour drive. After breakfast, bird to Lake Mburo National Park. We will have opportunity to stop at Echuya Forest to the proceed to Lake Mburo. This park has varied habitats from open Acacia woodlands to a number of papyrus-lined lakes and swamps. We will continue our exploration this afternoon in Lake Mburo National Park where we will be covering several different habitats looking out for birds like Bateleur, Crested Francolin, Emerald-spotted Wood Dove, Brown Parrot, Bare-faced Go-away-bird, Blue-napped Mousebird, African Grey Hornbill, Spot-flanked Barbet, Yellow-breasted Apalis, White-eyed Slaty Flycatcher, White-napped Raven, Fork tailed Drongo, Black-crowned Waxbill, and Black-headed Waxbill among other birds. Whole day birding Lake Mburo National Park looking for birds like the Bateleur, Crested Francolin, Black-bellied Bustard, Emerald-spotted Wood Dove, Brown Parrot, Bare-faced Go-away-bird, Blue-napped Mousebird, African Grey Hornbill, Spot-flanked Barbet, Long tailed Cisticola, Yellow-breasted Apalis among other birds. Look out for animals like the gorgeous Eland, Zebra, Impala, Buffalo, Reedbuck, Topi, Waterbuck Bushbuck, Hippos, Oribi, Bush-duiker and others. Bird to Entebbe After breakfast with your luggage, bird your back to Entebbe arriving in the late afternoon. Look out for birds like Bateleur, Crested Francolin, Lilac-breasted Roller, Emerald-spotted Wood Dove, Brown Parrot, Bare-faced Go-away-bird, Blue-napped Mousebird, African Grey Hornbill, Spot-flanked Barbet, Striped Kingfisher, Golden-backed Weaver among other birds. 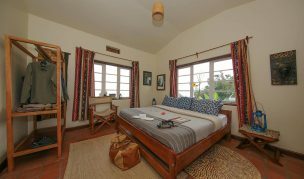 Day room use at Papyrus Guesthouse, to later transfer to Entebbe International Airport.